Long ago I lived a life which had far too much emphasis on what my company wanted me to do. I worked too hard for them, and in the end all my talent and effort certainly did not matter. I am fortunate to have escaped to the little piece of paradise that stretches south and west of Ocracoke Island. The lesson that I learned is one that many in America need to take to heart. We should all strive to do our jobs well and to the best of our ability. However, we should not allow the companies where we work to own our lives. In the over seven years that I have been on North Carolina's Southern Outer Banks I have grown to understand that I wasted many weekends trying to please a company that could not be pleased. I can recall none of those weekends. None of the great presentations that I labored over will ever be as memorable as the recent Saturday morning when I stood in the surf and marveled at the blue skies and felt the warm ocean waters washing around my legs. Even that does not compare to the kayaking trip where I caught a magnificient red drum. Today I am away from the traditional corporate world. The company where I work actually trusts me and because of that I actually work with even more passion. I want our company to be successful and will work hard to make that happen but not at the expense of the life that I have rescued from corporate America. We have a limited number of days on this planet and how we use them is up to us. While I plan to work for a long time, I will never again let my personal time be consumed by my job. It is not worth it. October 17, 2013, was a busy and productive day for me at work, but by 5:30 PM, I was in my car headed to the beach. Before 6 PM I was standing the surf pictured in this post. While I was holding a rod and doing a little fishing, mostly I was enjoying one of the most beautiful places in the world. The chance to relax and do something that I love almost never presented itself in my earlier careers. It was all about work and so much of it was busy work that did not matter then and certainly does not matter now. Eventually if you give everything to your company, you have nothing left for yourself. When you take time for yourself and let your batteries recharge, you are even better at your desk the next day. I am lucky to work for a company that gives me some flexibility in my schedule. I am even luckier to be working from a place that can heal your spirit if you just give it a chance. Careful consideration and conscious decisions brought us to this place where it is possible to live very close to nature and still lead a productive life. Just the opportunity to be in a place where it is easy to live a life without walls makes a huge difference. Being close to the waters of the Crystal Coast makes me feel like I have finally come home. The journey that brought us here was not a particularly easy one but the rewards of living a more meaningful life in an area of unequalled natural beauty have been worth the effort. Some folks live to work. I live for the water. 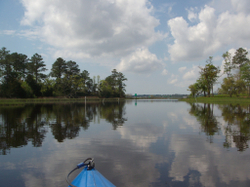 It can be the White Oak river from a kayak, Raymond's Gut as seen during my morning walk, the calm waters that I sometimes enjoy on a morning boat ride, or the surf over by the beach. Which water it is matters little to me. I love it all and it all makes my life here very special. It is just icing on the cake that my wife also takes great pleasure from living here by the water. The waters along North Carolina's coast are a true blessing and a national treasure. I feeled doubly blessed in that they have become such an important part of our lives and we get to wake up to them every morning. This link is to a post with some of the lessons that I have learned living by North Carolina's beautiful coastal water. I will own up to a life that has benefited from some excitement in it, but I will also admit that I have slowed down a lot in the last couple of years. Life on the Crystal Coast offers plenty of things to do. I just can no longer do them all in one day. Time eventually catches up with you and those days when you could work forever seem to slip away far too quickly. I still love to work and get in my fair share. I play pretty hard when I have the time, but the difference is I cannot do it day after day or all day without a break. If I spend a few hours in the morning mowing and doing my outside chores, it is not unusual for me to take a nap of fifteen to twenty minutes. I try to set my Smartphone alarm so that I will not sleep any longer than that. With a short nap I am good for some more adventures whether it is walking the beach, fishing, or writing. I watch little television and mostly attend to my writing efforts in the evening. When it feels like my face is going to crash into the keyboard, I give up for the evening. Still I sometimes write until 11:30 PM or later, but I usually do a serious review in the morning of anything that I write after 10 PM. On the Saturday before father's day, I managed a short boat ride, a quick hike, a morning of writing, and my after lunch nap. Next we went shopping at Belk's then Walmart and grabbed a sandwich at Smithfield's before driving home. When we got home I washed both our cars, and now I have been writing for a while and trying to sort out my Hammock's Beach photos. That sounds like a pretty busy day, but the funny part was when I sat down for a few minutes to relax this evening. I enjoyed a carefully planned pre-father's day drink. Now I have never been a huge drinker, but over the years I have enjoyed my share of scotch, a little rum, and some interesting beers. I still drink a beer or two a month if the stars are aligned. So what did I have for my evening drink? It was a Diet Seven-Up. I have tried pretty successfully to get my beverages to just coffee, tea, and water. Now a diet soda is a treat. How life has changed. We planned my father's day feast and the menu will probably be grilled turkey burgers, corn on the cob, and some baked homemade fries, half white potato and half sweet potato. It sounds like a great meal and I might break out that Smuttynose IPA that I have been saving for a warm day, but it is not what I might have enjoyed a few years ago. No one told me not to grill a big steak or have a scotch or open a nice bottle of wine. They are just not on my radar these days. Breakfast father's day morning will be a Dr. Oz Museli Power Breakfast with added hemp and chia seeds. Gone are those bacon and egg breakfasts of long ago. When museli isn't on the menu, I usually have a plate full of grilled veggies topped with a little shredded cheese, hemp seeds and an egg or egg white. I still fall off the eating well wagon more than I care to admit, but getting back to the norm is not a challenge. I just never thought that the norm would be buttering my one piece of low carb toast with olive oil. The scary thing is that I like the olive oil on toast and find my Marmite which I have not abandoned tastes great with it. I shudder to think what I will be enjoying five years from now. I hope that I can still enjoy those five mile beach hikes and a can of sardines once in a while. I have had the pleasure and honor of working with many young people over the years as they have tried to figure out what they wanted to do with their lives and where they wanted to do it. As almost anyone knows, there is no easy solution. Many times a job dictates where you live. Sometimes a job takes you to a place, and you never leave. You end up loving the place, and everyone lives happily ever after. There are people among us who need to be inspired by where they live. I will admit to being one of those people. For years I wanted to live in Canada. There were a lot of reasons, but the challenge of the climate, the beauty of the wilderness, and the sense of having survived in a tough environment all played a part. When I got a job with Apple Computer in 1984, where I lived ended up not being as important as working for Apple. Eventually with growing children, where I lived once again became very important to me. I even took myself off the management track so that we could settle on the side of a mountain overlooking Roanoke, Virgina. It turned out to be a wonderful place to raise a family, and I ended up a manager at Apple in spite of where I was living. Once I became a manager, I had the choice of moving away from Roanoke back to Northern Virginia where my office was located. We weighed the decision and decided that we were done moving while our kids were in school. Three moves over the space of five years was plenty to absorb. That decision meant a lot of travel for me. Specifically three weeks out of the month, I would leave Roanoke and drive nearly four hours to my office. For years I stayed in hotels until my daughter graduated college and ended up in a town house where I managed to secure a bedroom. Our living in Roanoke came down to my willingness to accept the burden of travel and make the best of it. Tonight I was reading the response of a forum member on City-Data to someone who wants to live on the North Carolina coast near the beach. 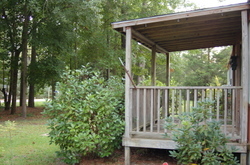 The forum member found travel in Eastern, NC "tedious." As someone who traveled the Shenandoah Valley so much that I could estimate my arrival time to within a minute, I probably could have found my travel "tedious." But I did not. Travel was my willing sacrifice for living where we wanted to live. I might complain about it, but it became part of my life. I would never discourage someone from making the necessary trade-off in order to able to live in a place that inspires them or makes their heart beat a little faster. Life is too short. Perhaps our forum member would suggest that the young person yearning to live near a beach pick a town along Interstate 95 and live there because travel is "easier." It might be easier but the beach is over 100 miles away instead of ten minutes. Choosing to live along Interstate 95 is a lousy decision to make if you are already fortunate enough to be able to pick where you live. Who cares how much you have to travel if you are happy? Why not pick a place where you will be happy and consider whatever extra travel that necessitates a price well worth paying? After all, I doubt that you can find a place nicer than the North Carolina coast on February 8, 2009. It was one spectacular day. There are more thoughts on this on my View from the Mountain blog. Sometimes the spirit just moves you and doing something becomes a simple matter of following the path of least resistance. When the water is warm and the day beautiful, it does not take much to get me on the water. Putting my kayak in at Bluewater Cove is a matter of sliding it down the grass in my backyard into the water. Lots of other decisions are more complex. As a Realtor® I see lots of people struggling with what to do next in life. Sometimes I feel like a "what if" spreadsheet for people's lives. People look at different areas and try to imagine themselves living in a particular home. I try to help them do that in a realistic manner. They wonder about the costs of heating/cooling, property taxes, and insurance. Usually one of the first things on their mind is what our winter weather is like. Sometimes they want to know where the closest trails for hiking are or how far is it to the nearest fitness facility? One of the questions we almost always get is how far is it to the beach? Another important piece of information is how far away is medical care and what are the areas' three hospitals like? It there are children involved, people want to know about area schools. They often want to understand our demographics. I get so many questions on area services that I finally made a custom map of the area where you can zoom and pan the map to see where everything is. Folks thinking about moving also want to know what they will do with the inevitable visitors when they show up right after you move to an area close to beach. I even did a suggested five day tourist itinerary for one client's sister. 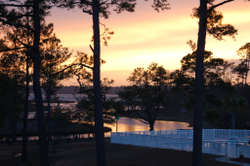 We are lucky since there are plenty of things to do in Swansboro, Emerald Isle, and Beaufort. We have a wonderful spot like Tryon Palace just 45 minutes away. You can even visit the Outer Banks like they used to be at Cape Lookout. I feel fortunate that lots of people are looking for a new life in the small towns along the NC coast. While our reasons for moving to Carteret county are specific to us, lots of people seem to relate to our thought process. I like to think that the people who came before us have helped develop a wonderful spot for second homes, retirement, and even new lives along the shores of Bogue Sound and the White Oak River. I am thankful to them for making the first steps. When you get down to crunch, people make their own decisions for their own reasons. What makes sense for one person might not make sense for another. Yet change is the spice of life and lots of people understand that. Lots of times you might find just enough information from someone like me to give you that push to head out into that new life in a new spot even if it is not the one I have shown you. If you do, I hope you find a place as nice as our coastal paradise. Right now there are plenty of choices. This is especially true with some great new properties coming on line at a time when prices are at levels that haven't been seen since 2004. There was a moment the other day when I was visiting a property here on the coast that made me want to pull up a chair and sit down for a spell. I see lots of different homes and usually I try to tuck away one feature that might be special about a particular listing. Once in a while, even in the heat, or maybe especially in the heat, I get caught thinking about what it would be like to sit and talk with the people who first lived in a place. The cozy spot in the picture has been around for twenty five years. It started as a raw lot, filled with trees and brush. A lot of hard work made it a comfortable home for a husband and wife who in this particular case took the risk of moving to a place far way from where they spent most of their adult lives. There were not many year around residents when they moved. I am sure they faced plenty of challenges, but I am willing to guess that those challenges ended up adding richness to their lives. I know people who have moved lots of times and people who have barely left the area where they were born. I don't know that one group is wiser or happier than the other. They are just people who have different priorities. I do know that it takes some courage to pack the the bags and move to a new spot. You have to ride your dreams to get to a new place. Once you are there, the only way to really make it a home is through hard work that may not resemble the dream. Yet most new comers persevere because going back does not fit their personality. When I moved to Canada to raise cattle, it was a great adventure filled with lots of back breaking work. I never dreamed that I would come back to states working for a computer company. Apple Computer did not even exist when I moved to Canada. A move sets in motion wheels of change that cannot be predicted. When visiting online forums I see lots of folks who spend time asking questions about a new place. Sometimes they are very serious, and just looking for the right kind of information to motivate themselves to move. They need the right neighborhood or a certain kind of house. Then there are a few folks who ask endless questions looking for the perfect place without ever realizing that there is no such thing as a perfect place. Actually maybe that is wrong. If there is a perfect place, it is up to you to make it so. Some people do not really have that spark which drives you to actually pick up stakes and moves. That reluctance is understandable. Moving is filled with unknowns and has plenty of stress. It is hard moving from an area where you have made great friends and perhaps raised your kids. I do not know what separates the people who will gamble on a move from those who dream but never act. I think I was born with a little wanderlust. However, I know that meeting and working with people in an area before I move has always eased the strain. As I find good people, they fill in the gaps that Google with its clever daily intelligence or glue for the modern world cannot. Talking to people and sharing your worries is hard if you do not know people well, but it is a way to get to know people well. I enjoy meeting people, helping them, getting to know them, and sometimes letting them listen to my problems. It helps a lot when moving. In the end I am thankful for those people who have been willing to try a new place, to hack some of the brush back, to find those secret waterways, and to populate some of the more challenging spots in America. Without the people who could dream of the beauty and actually have the courage to bet their dollars on finding it, we would never have gotten to enjoy some of American's best spots. If I had a choice of talking to someone no longer around, I would rather sit back on the porch and talk to those who lived their dreams rather than who lived in a dream. While moving anywhere in American today is a lot easier than it was 25 years ago there are still challenges. Technology has made it much easier. Access to the Internet is in places I would never have guessed. Services like those on this map make even those of us who live just beyond the reach of the big box stores pretty comfortable. Comfort is all relative. Some move to find it. Some do not move to keep it. Others find comfort just in the act of moving. Sitting on the warm porch in the picture brings back memories to me of another time, and another place when I was surrounded by family. It was a good time, we were young and the memories are still fresh of those great days in the fifties and sixties. ]Perhaps I do so well in moves because not only do I haul the old memories with me, but I am pretty good at creating some new ones. We took a trip recently down from Cape Carteret, NC to Murrells Inlet, SC. It was an interesting trip from a lot of perspectives. Most importantly it was a confirmation that we made the right decision when we moved to western Carteret County. It is probably no news to anyone that small town America is challenged these days with the increasing urbanization of our countryside. The small town, Lewisville, NC, where I grew up in the fifties and sixties does not resemble the place that I remember. Even the Annapolis Valley of Nova Scotia where I spent the early seventies is changing. Our trip down to South Carolina reminded me that we could have wall to wall high rise developments here on the Crystal Coast like there is in Myrtle Beach. Fortunately that does not appear to be a near term danger. As we were driving back from South Carolina, I thought about the things that I love about the Crystal Coast. I like to use the term "small town feel" to describe what make here. Yet when I talk about the small town feel or life, what does that really mean? Above all I believe it is the opportunity to interact with and get to know a group of people who have somewhat common interests because they live in a certain area that ties people together. Being bound together by that sense of place and common interests creates a sense of community which drives certain behaviors that you might not see in a more urban world. People actually care about what happens to each other. In a very uncertain world, that sense of community and provides both an emotional and a real safety net. While urban areas tend to overwhelm their environment, small towns tend to be part of the environment. If you aren't closed up in a high rise tower, you might care more about the world at your doorstep. Small towns that give me the right vibes are places that still own their own soul. They mostly have businesses owned by the people that live there. Most importantly real small towns are populated mostly by people that make it their home not the spot that they occasionally visit. I have no illusion that small towns are utopia. I have lived in at least one small town that was not a pleasant experience for an outsider. There has to be the right mix between locals and transplants to create an environment where the best of both worlds can survive. If the outsiders and developers take over, you can end up with wall to wall high rises along the beach. If only the locals rule, you can end up with a place hostile to newcomers or any change. Neither would be a fun place to live. So what protects that little section of the Southern Outer Banks where we live? Of course I am only guessing, but I suspect being a little off the beaten bath helps. I also think having an early migration of full time residents from the outside set the tone of accepting newcomers. I know that being sandwiched between Cape Lookout, a national seashore, and the 157,000 acres of Croatan National Forest also is good thing. Beyond that I suspect the fact that there is no large city in the area has also made a difference. Finally somehow I think the area has been self selecting. The people who have come to the area are here because they appreciate the towns and villages for what they are, rather than what they might be. Our little patch of heaven is to a certain extent a land of boaters, fishermen, and people who enjoy walking mostly empty beaches. For that reason the area has stayed a spot that caters to those kind people. And that turns out to be fine with me. I greatly appreciate the opportunity to live in area where there are still real fishermen and where the business person you talk to is often the owner. It is neat to be a place where history is appreciated without having it take over your life. It is good to see an environment where people can start small businesses and sometimes succeed. It is nice seeing a mix of old and young people interact in a positive manner in the many area festivals. While no place is perfect, this one works pretty well for the time being. I hope we can keep the balance. While development will continue to encroach on the area, I remain hopeful that we can preserve these last few remaining small towns. I hope our love does not kill them. They just might be irreplaceable. There is something special about sitting down to dinner with the people from your community. If I had to give a name to the interaction that takes places at one of these events, I would have to call the Durgin-Park effect. Durgin-Park is an old restaurant in the Market district of Boston which as the advertising says "was established before you were born." It is famous for big hunks of prime rib still on the bone, somewhat saucy waitresses, and the long dining house style tables with red checked table clothes which can put you across the table from anyone. Most of us would stay in a rut unless something pulled us out of it occasionally. Making a new human contact is something that reminds us that we are part of human family that transcends our own families. A community or church dinner is one of those things that will keep you human. You learn what is going on outside your family and even meet new and interesting people. 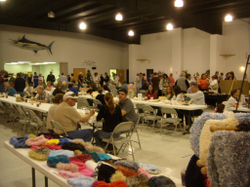 The picture in the post comes from the Swansboro, NC Pig Cook off and Crafts' Fair which is held each fall. We stopped by in fall of 2007 to enjoy a six dollar dinner of more eastern style barbecue than you can eat. In the eastern part of the North Carolina, the community meals generally focus on barbecue, fish, and oysters. As is often the case, we met some new folks and then got a visit by some friends that we had recently made. Another year, and we will be old timers. After lots of talk, we walked around and enjoyed the local crafts. Today we had a lunch after the service in our Cape Carteret Presbyterian Church. It was a great time to meet some new people. We have enjoyed some great Wednesday night meals at our Roanoke church home, Covenant Presbyterian. It seems many of the community meals in western NC and Virginia focus on chicken. One of my favorites is Fire Station Chicken. The chicken has to be appropriately charred to be tasty. Besides providing some very good food, these community and church meals bring us together so that we can realize how much common ground that we still have. We need more of that. Talking to each other will bring us together and offers more hope of solving problems than a bunch of politicians. It is hard enough for families to get together these days, so an opportunity to sit down with your community is very rare. In many cases it is nearly impossible for communities to sit down at a few tables and look each other in the eye. Luckily people work hard at figuring out how to it. I think it is a part of our instincts. The need to be together in a group is a powerful force. Yet that being together is exactly what we need. I have learned that the Internet and Email can have a very dehumanizing effect on people. The more people get hooked on electronic communication, the bigger chance we have of forgetting how to treat real people. People say and do things in emails and instant messages that they would not do in person. I have seen people who are addicted to their Blackberries and cell phones completely lose their humanity and forget how to treat people as people. I still believe in personal contact with other humans as a key to your sanity. If that is old school then count me as old school. Certainly my old school attitude is helping me be successful in real estate. I hope I remain hooked on humans. I can still remember when we lived on the farm in Tay Creek, New Brunswick. One of the highlights of the summer was the community getting together to eat. The next time you have a chance to go to a community or church meal, take advantage of it. You will find something special there besides the food. A view like this from our back deck can make you feel like you are home. But often it takes more than a view to make a place really seem like home. During most of my corporate career I traveled a lot. We lived in Roanoke, Va for over eighteen years. Much of that time I was driving up Interstate 81 and spending time in Reston at Apple's office beside the Dulles Toll Road. Eventually I got to the point that I could no longer take staying in a hotel. It did not matter how fancy the hotel happened to be. I just wanted something that did not change and felt like home. I was lucky in that my oldest daughter graduated about that time, and we rented a two bedroom apartment in McLean. The first summer my son came up and slept on the living room floor so he could do an intern job. It wasn't too long before my daughter bought a three bedroom townhouse in Reston. That became my second home. The smallest bedroom became mine temporarily. I could leave clothes and toiletries three. I didn't have to make reservations, and I got to spend time with my Northern Va. family. While having a bed and my own space was a huge step towards home, having familiar surroundings outside the home also plays a big part in making an area feel like home. In today's world more often than not the stores are same, only the people change. Still there are differences. I used to enjoy an occasional visit to Reston Kabob. There were many nights when we would meet for dinner at Marie's at South Lakes Plaza. Marie's which has been gone a while was a family kind of place. They knew me since I would grab lunch there also at least once a week. Beyond the restaurants there were the grocery stores since I always cooked my own breakfast and tried to a cook a meal or two when I was visiting. I used to frequent the Giant on North Shore. It was small and sometimes even ran out of chicken breast or hamburger, but I could get in and out of there in a couple of minutes. Of course having a Books a Million and a Barnes Noble was like having a dream come true to a reading addict. Still my favorite spot was Whole Foods. While I enjoyed Trader Joe's, I often marveled at the plants and exotic foods that made it to the shelves of Whole Foods. Some of the things I enjoyed from Whole Foods became such a part of my routine that I would load a cooler up with ice and take them home to Roanoke. The other night we were headed from Roanoke to Cape Carteret to find some warmth, and I was on a mission. I wanted to find the Whole Foods in Cary, NC. It did not take a lot of effort. It was just a short distance from where 64E run into US1 N.
When we turned into the parking lot late that evening part of me felt like I was home in Reston. It was a good feeling finding some familiar things that had long been absent from my routine. I was saddened to find that Icelandic Salmon no longer makes it to Whole Food's cases, but there was no shortage of good things that could be replacements. It was a great experience aside from having to drag my wife out of the orchids at the front of the store. She was overwhelmed. As much as well known stores and a house with your things can help make a place field like home, routine and rhythm also play a part. Every place has a different rhythm. Synchronizing yourself with it makes you feel part of the place. In Reston, traffic is one of the key rhythms. You learn to structure your life around the traffic jams. Timing what you do according to traffic flow becomes second nature. You go to lunch when you know you can find a parking place. In Roanoke ice and storms in the winter immediately restructure people's lives. If you live on a steep hill, you know when the sun will melt the ice and likely what time in the afternoon that it will refreeze. You make plans around those times. Some roads you just avoid when ice is prevalent. In Cape Carteret, we are even closer to the elements. Weather is a big topic just like it used to be when we lived on a farm in Canada. When the weather is good or there is beautiful sunset on tap, you will find people making time to enjoy it. Beyond that the shifting regularity of the times for high and low tides often adds structure to our lives. We are in place with lots of water spread very thinly so it makes sense for people to know when low tide will arrive. Finally it takes people to make you feel at home. In Reston I had family and an office family. Most weekends I was home so my church family and other friends remained in Roanoke. Now that we are in Cape Carteret, I have an office family, a church family, and a neighborhood which is southern enough that I actually know several of the my neighbors. We have also started making some other friends. It's pretty easy to do here on the coast. The stores here are pretty different from Reston and Roanoke. We do have an Ace and a Lowe's Home Improvement, but there is no Giant and no Kroger (the Roanoke grocery store of choice). And the closest Whole Foods is about 2.5 hours away. Yet I do believe that the most important thing in making a home is your mindset. If you want to find the good in place you will find it. My Giant on North Shore and Marie's are gone. Reston will never feel like the same home again. I have changed also, and my office family is long gone. Even in Roanoke, my neighborhood Ace Hardware disappeared. We recently visited our favorite inexpensive restaurant, the Pancake House, and they were closed temporarily due to the lack of help. Roanoke might never be the same home again either. It has changed along with me. So we cannot depend on stores to make a home for us, we have to put our trust in our own minds to build our homes with the pieces that we find and our own changed realities. Sometimes we move and have to regroup the pieces, but it can be a very positive experience. Change is constant, and you can always go home if you carry part of it with you in your head and look for the good in your new surroundings. Maybe that mindset is why I have managed to be happy for so long.